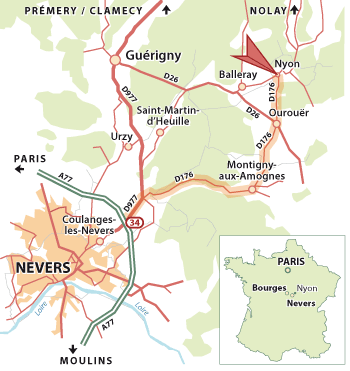 Leave the A77 at the exit 34 and turn left, direction Guérigny-Prémery-Auxerre. 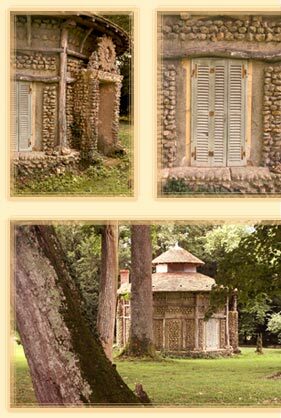 Take the first right turn to Montigny aux Amognes. At Montigny go through taking the direction Ourouer. At Ourouer turn left and then right direction Nolay Nyon. After aprox 2 miles take the first left turn direction Balleray. 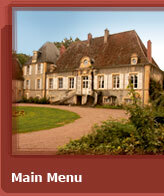 You will see the chateau on you left with a drive leading to it.